Shopping on EMIs or using your credit card is easy and convenient as you don't have to pay upfront for the full price of your purchase. Whether it's a TV for your family or the latest smart-phone for yourself you can now shop for your favourite product, and rely on the Bajaj Finserv RBL Bank SuperCard and Bajaj Finserv EMI Network Card. Together, they allow you to shop guilt-free, owing to a special, limited period cash back offer. Here is more about what's in store for you. When you shop from a Bajaj Finserv EMI Network partner store using your EMI Network Card and make the down payment using your Bajaj Finserv RBL Bank SuperCard, you get cash back of 5 per cent on the value of your down payment. This offer is available to all SuperCard members from 20th March to 20th June where you can avail cash back of up to Rs 1,000 per transaction. The cash back gets processed within 45-60 days from the transaction date. Apart from access to this excellent deal, the Bajaj Finserv RBL Bank SuperCard extends a host of benefits to you that make shopping a true joy. Here's a quick look at what these features are. Apart from offering an emergency loan and interest-free ATM withdrawals, the SuperCard also gives you reward points for every transaction, along with benefits like fuel surcharge waivers and cash back. You can also earn up to 2,000 points as a joining bonus when you apply for a credit card with Bajaj Finserv, and get reward points when you cross the annual spends threshold too. With over 1 million products available at the Bajaj Finserv EMI Network, you can shop for a range of personal gadgets, electronics and appliances, as well as shop for travel tickets, hotel stays, groceries and fitness equipment on no cost EMIs. Moreover, with over 60,000 partners, there's no dearth of options to choose from. In addition, the SuperCard gives you access to exclusive deals and discounts, making shopping more economical and pocket-friendly. Packed with scores of rewarding features, Bajaj Finserv makes shopping affordable and enjoyable through the one-of-a-kind SuperCard. 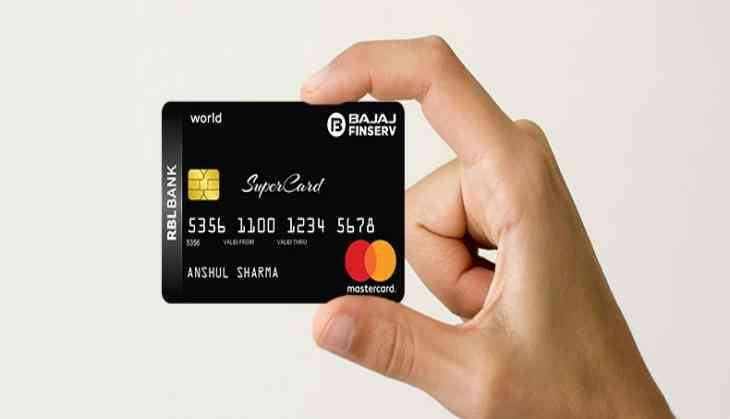 What's more, applying for the Bajaj Finserv RBL Bank SuperCard is just as easy. You can check your pre-approved credit card offer and get an instant approval.